You choose how much of the world to let in or keep out, or have the headphones do it for you automatically based on your surroundings and motion. Libratone—the Danish manufacturer best known for building specialty wireless speakers like the Zipp, the One Click, and the Too—is plunging deeper into the headphone market. 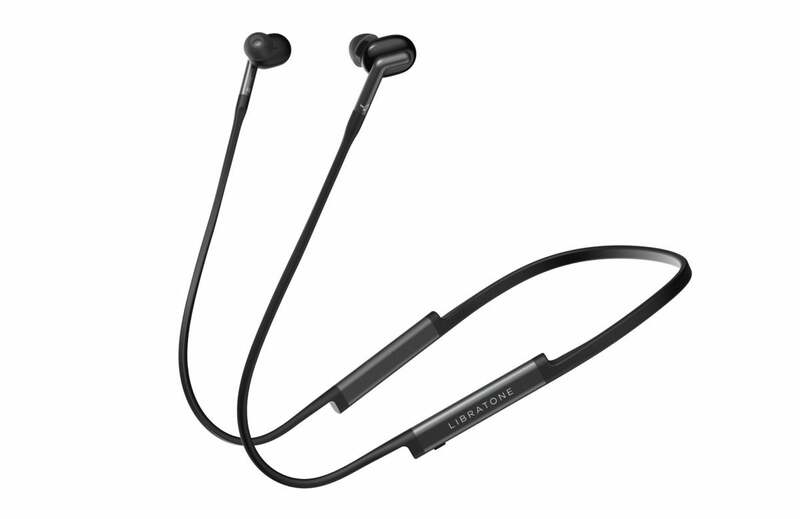 Its new Track+ wireless in-ear-monitor headphones are geared towards those with an active lifestyle, sporting an IPX4 rating for sweat and splash resistance, plus some new noise-cancelling features. 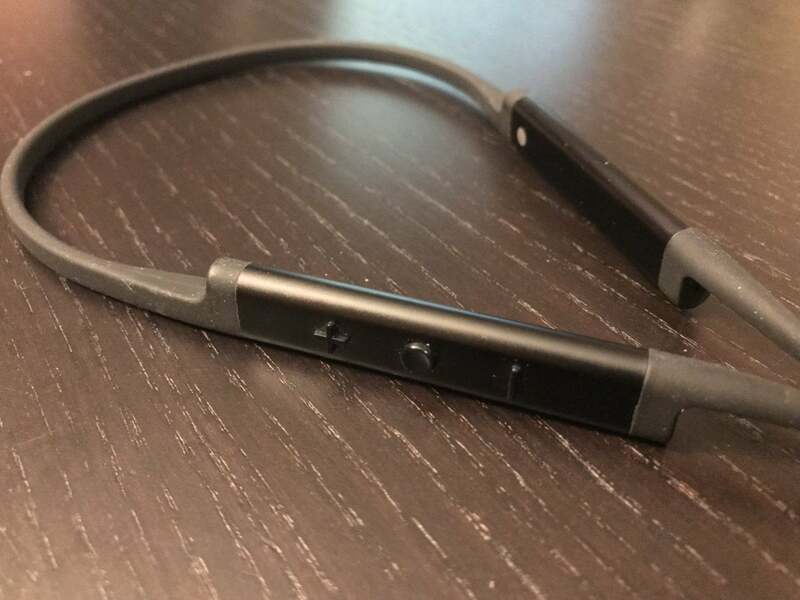 The Track+ has a highly flexible design, which I personally prefer to wireless headphones with collars. 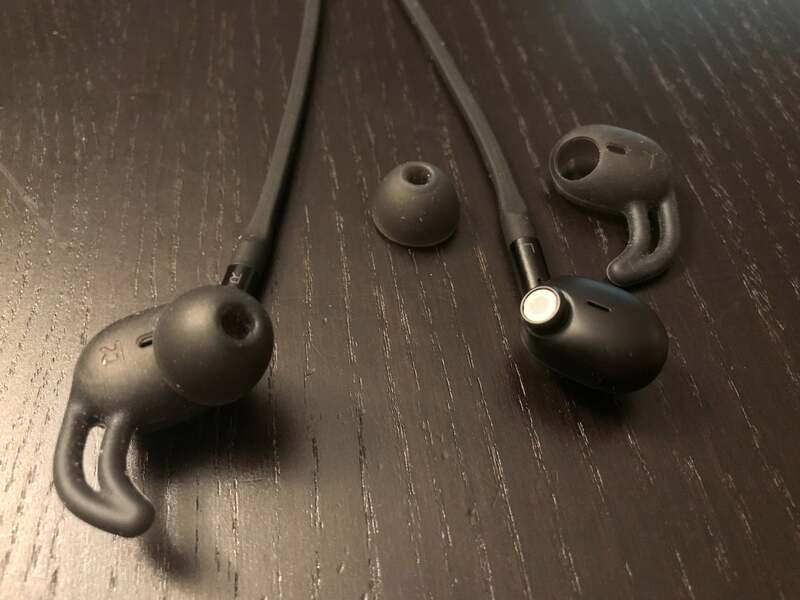 While the absence of a collar made it simple to slip the Track+ into my jacket or pants pocket, the headphones were still bulkier than most wired in-ear-monitor headphones I’ve reviewed. The Libratone Track+ is rated for about 8 hours of battery life, which is what I was typically able to get. Recharging was fast, taking about an hour to get a full charge. The Track+ has a special feature called Motion Detect that puts the headphones to sleep after they’ve been idle for a while. In my experience, Motion Detect made a significant difference in extending the headphone’s battery life. I could sometimes go two or three days without needing to charge the headphones—even after prolonged use. The Track+ was very comfortable, and I never experienced any fatigue while wearing them. It comes with a typical assortment of silicone ear tips, plus wing tips you can add to the in-ear-monitor’s body. The wing tips created a solid fit and I used them for all my listening. The Track+ always felt secure in my ears and they never fell out with activity. The included tips gave the Track+ a solid fit. The Track+ has two inline controls that fell along either side of my neck, right at the collarbone, where they were intuitive to find. The left side control has the power button, which doubles as a toggle for the Track+’s noise-cancelling settings (as I’ll describe in more detail below). The right inline control handles the traditional play/pause and volume functions and has an exposed micro-USB charging port. Holding down the play button for a few seconds successfully engaged Siri on my iPhone 7. The Track+ has inline conrols on both sides. The Track+’s hands-free calling functionality was good—once I updated to the latest firmware. Until the update, more often than not, people had a tough time hearing me clearly--to the point where I had to pick up the phone. The inline controls acted as counterweights when I wore them, helping the rubber cable droop down before looping around my neck. I would, however, note some caution with the design. When I took the headphones out of my ears and left them looped around my neck, they sometimes shifted significantly to one side or the other, raising the possibility that they could fall off. I wish Libratone offered a magnetic clip option for the Track+, as Focal has for its Spark Wireless. The Track+, like all Libratone headphones, relies on a companion Android or iOS app, which serves several purposes: You can check the headphone’s battery life; pair two Libratone wireless headphones together for synchronized program listening; perform firmware updates; connect to Tidal, Spotify, and internet radio stations; or connect to Amazon Alexa (with supported products). Most users will use the app to set noise-cancelling settings. 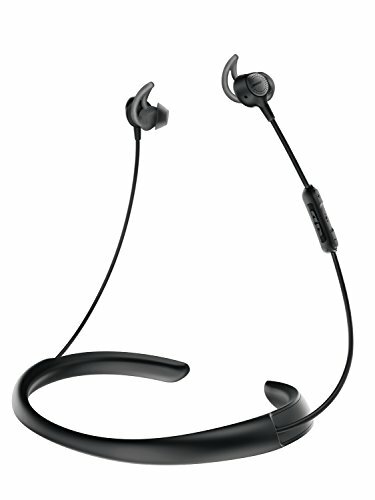 The Track+'s primary attraction is its flexible active noise-cancelling (ANC) feature set, called CityMix II. What sets CityMix ANC technology apart from the competition is that it allows you to choose from one of four ANC settings. Level 1 is passthrough, Level 2 is low noise cancelling, Level 3 is medium noise cancelling, and Level 4 is Maximum. Each ANC setting is geared towards a slightly different environmental condition. I found Level 2 best for windy environments, while three and four were best for masking engine noise. You can choose from several noise cancelling settings. There is also a setting called Ambient Monitoring that allows you to hear the world around you. Through the app, you can enable ambient monitoring with a button. That’s an incredibly helpful feature if you need to listen to announcements in an airport or train, or if you want to be aware of your surroundings for safety. Libratone’s noise cancelling features include an adaptive noise cancelling mode and ambient aware. 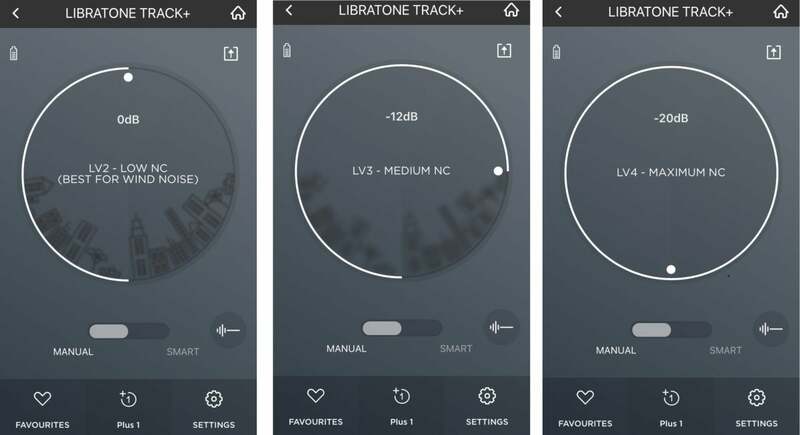 Libratone’s companion app allows you to choose exactly which ANC setting you want. You can also toggle through each ANC mode by pressing on the power button. Unfortunately, when you use the power button, the Track+ only performs a single beep for each setting until you get to the maximum noise-cancellation setting, which gives you a double beep. I personally would have found it far more intuitive if Libratone had an ascending audible scale to let you know exactly which setting you are on. The Track+ comes with a brand new ANC feature called Smart, which is an adaptive noise-cancelling feature that adjusts the noise-cancelling setting based on your environment. I confirmed with Libratone that you can only enable the Smart adaptive noise cancelling feature through the app. Smart noise cancelling adapts automatically to your environment. The Libratone Track+’s Smart adaptive noise-cancelling feature is great. It did a very good job when I tested it on trains, in the NY subway, and walking on New York City streets. 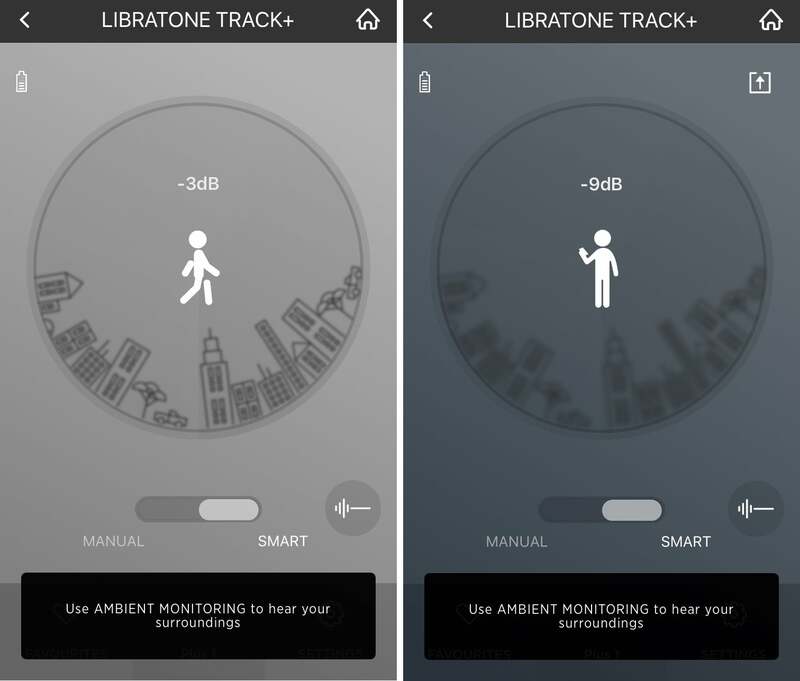 Libratone says that Smart Mode employs a combination of algorithms and accelerometers that goes beyond the four levels in the Manual Mode to determine the optimal noise cancellation given the users’ physical activity and environment. The app’s visual cues showed that the headphone was engaging additional levels of noise cancellation over and above what you can do manually. The feature isn’t perfect, however; I noticed that sometimes as it switched between settings, I’d hear a thud with each setting change—very similar to the noise you get when you tap a turntable or the stylus head. Generally speaking, that wasn’t a problem unless Smart noise cancelling switched several modes in succession over a matter of a few seconds. I found the the Libratone’s noise cancelling to be very good, though it’s not at the same level as market leaders Sony or Bose. I tested the Libratone Track+ with an iPhone 7 and Astell&Kern AK70 MKII, Astell&Kern Kann, and Fiio X7 MKII hi-res digital audio players. 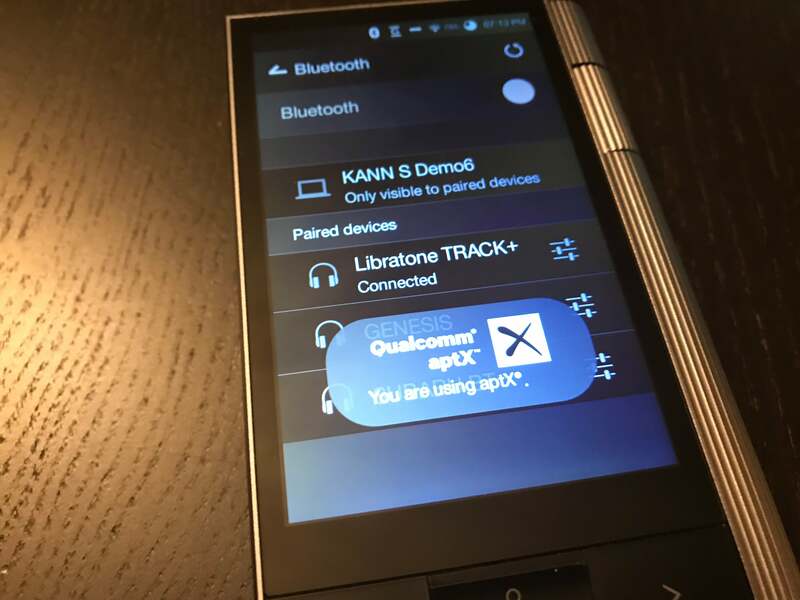 The Track+ supports the aptX codec for near CD-quality audio over Bluetooth, and those players confirmed an aptX connection. I was concerned about the Track+’s dependence on the mobile app should someone want to use the headphones with another Bluetooth source. Thankfully, I was able to pair the Track+ simultaneously with both my iPhone and a hi-res DAP. Thus, I could take complete control of the Libratone’s ANC settings while taking advantage of the aptX codec. 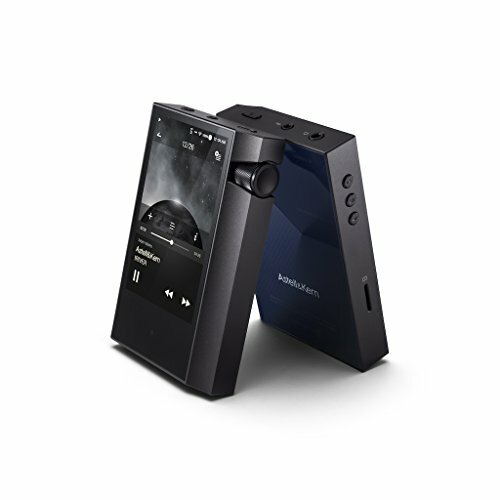 The Track+ supports the aptX codec for near CD-quality streaming over Bluetooth with compatible devices. I’ve become accustomed to noise-cancelling headphones having less than stellar sound. That wasn’t the case here. Generally speaking, the Libratone delivered a well-balanced sonic experience from top to bottom. Bass—especially midbass—was strong but not heavy. The opening drums on the Eagles’ live rendition of “Hotel California,” from Hell Freezes Over, packed a solid punch. The sound will cater well to those who like headphones with a slightly elevated bottom end and strong dynamics. The midrange tended towards the warm side of neutral with a hint of thickness, which was most apparent with female vocals. For example, Carrie Underwood’s vocals on “Heartbeat” or Diana Krall’s on “The Look of Love” lacked the clarity and separation I’m accustomed to hearing through other headphones. I was pleasantly surprised by the Libratone’s top end. Cymbals on the Dave Matthews Band “Crash into Me” were crisp, with excellent decay. 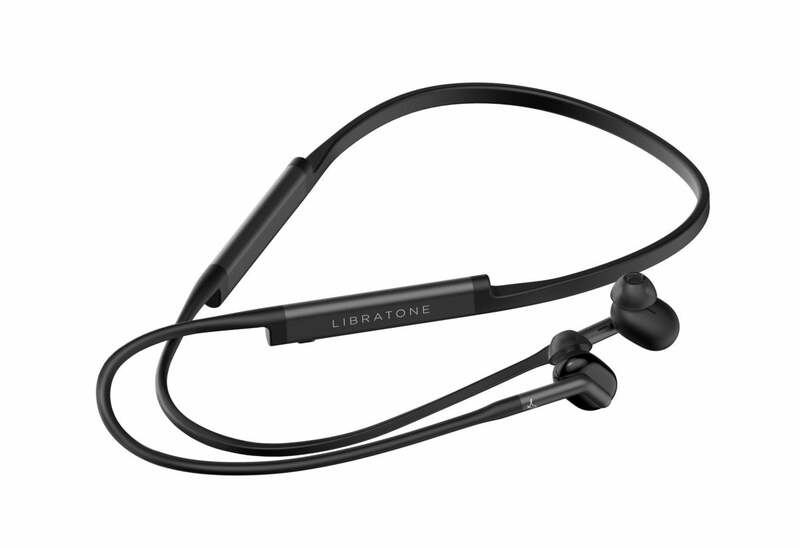 Libratone Track+ noise cancelling wireless headphones. Nevertheless, no matter how many songs I played, the Track+ had the tendency to flatten out tracks, unable to create a three dimensional sound stage. A good choice for the active lifestyle user who wants high-tech noise-cancelling features with sweat and splash resistance. Comfortable fit and solid sonic performance. Multiple levels of noise cancelling—including adaptive noise cancelling. 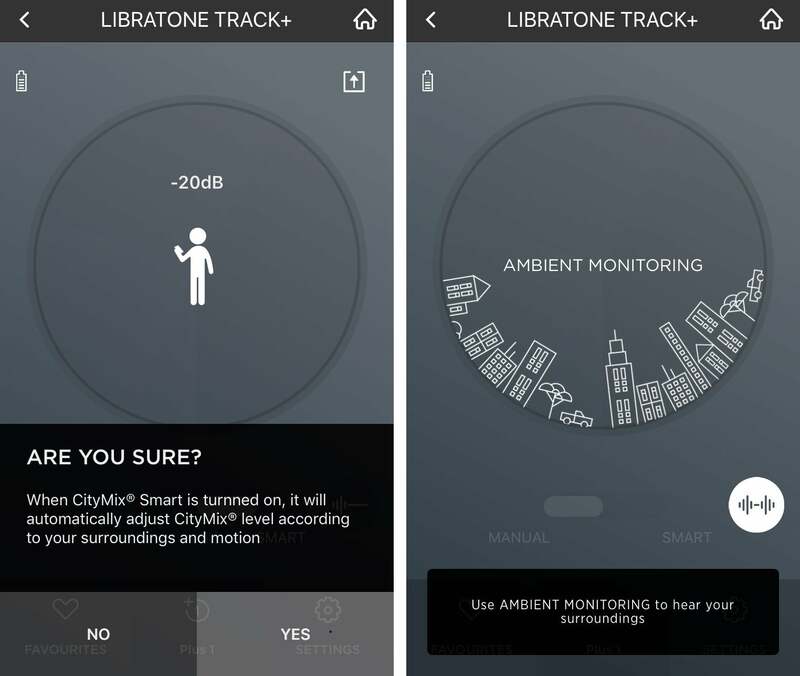 Ambient-aware feature lets you hear your surroundings. 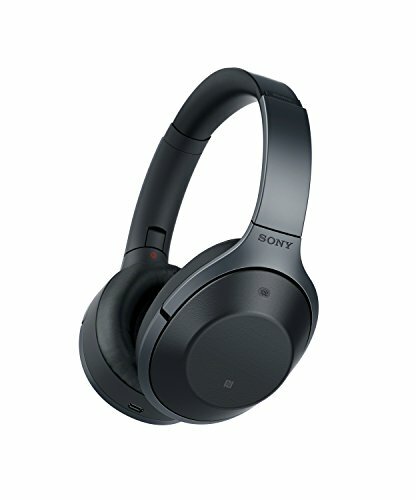 Adaptive noise-cancelling feature can be enabled only through the companion app. Noise cancelling performance won't compete with the market leaders.